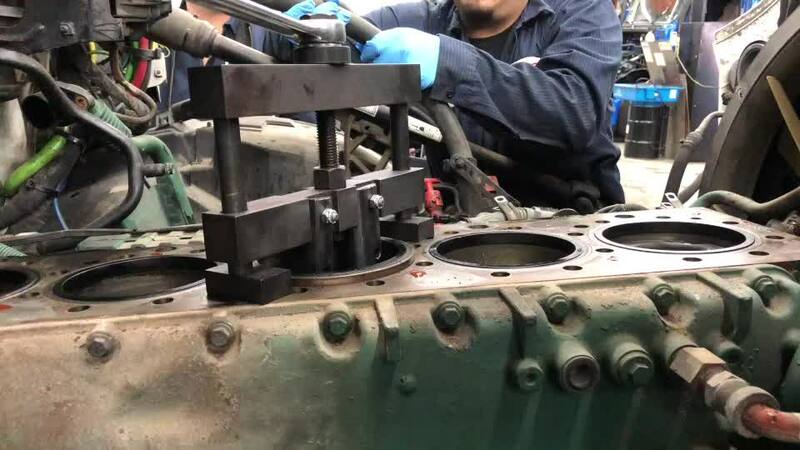 Used to remove the cylinder liners on Caterpillar, Cummins, Detroit Diesel, Mercedes OM460 and Volvo D13 engines. Spring loaded arms adjust to fit the liner automatically. Includes longer threaded shaft and arms shown here, along with inserts for Detroit Diesel liners. Sold Complete.